We use different quality tested raw materials to produce highly efficient and high performance HD hydraulic industrial paver block making machines. It is widely used in the industry of construction and building. 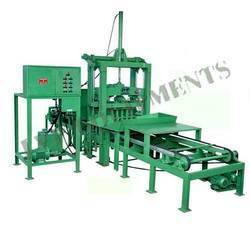 We can customize the industrial paver block making machines as per the specific requirements provided by our clients. Looking for HD Hydraulic Paver and Concrete Block Making Machine ?